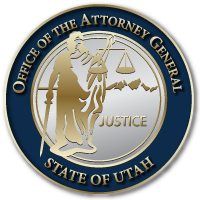 The Utah Attorney General’s office can now help Utah law enforcement agencies catch criminals faster than ever. How? With Rapid DNA testing. Rapid DNA testing is a new technology that allows law enforcement to analyze evidence on the crime scene and deliver results within a couple of hours. This timing is significantly shorter than the typical turnaround time often needed for DNA analysis. The AG’s Office has been testing and analyzing the reliability of Rapid DNA for the last two months. The testing has found the new technology to be effective, efficient, and even able to test DNA from a gun. Rapid DNA is a game changer in the fight against crime. Often, agencies have had to release suspects back into the community as they wait for the evidence they need to press charges. With Rapid DNA, those suspects are usually already in custody and give officials a greater ability to know what next steps can be taken in the pursuit of justice. In fact, one week after Rapid DNA was given the green light, law enforcement solved its first case utilizing the new technology. The AG’s Office currently owns and operates two Rapid DNA analyzers. This technology is available to any law enforcement agency in the state at no cost to their local taxpayers. Below is Utah Attorney General Sean D. Reyes to law enforcement agencies explaining the process and inviting agencies to reach out if they are in need of assistance. To utilize Rapid DNA in your agency, please call our AG Investigations Division at 801-281-1200. This entry was posted in Recent Posts and tagged Rapid DNA, Sean D. Reyes, Utah Attorney General on November 14, 2018 .